A group of thirteen players known as the Misfits Syndicates won the Euro lotto of a sensational £1 million prize. With good reason to celebrate their win, each of them will take home £77K, thousands richer than they expected. The leader of the Misfits Syndicate, Mandy Richards formed the group six years ago. Since then she has played thirteen lotto lines, every Saturday. 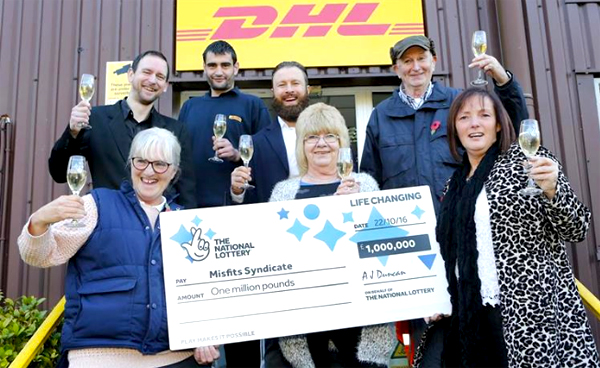 Over the years, the syndicates won a few small prizes but never as big a prize as £1 million. 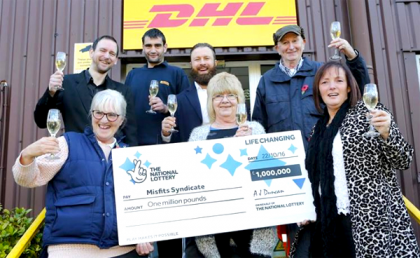 The Misfits Syndicate found out about their lottery win through Mandy Richards’ eldest daughter, Louise, who checked their numbers at the local store. At the time, the lottery ticket was verified, Mandy did not have time to share the good news with the other syndicate members. In fact, she was in a hurry to attend the local fireworks display with her siblings. Winning the lotto is a dream come true, on top of this a windfall close to the Christmas season cannot be a better time to win such a prize. All the syndicate members intend to fulfill their desire to buy new houses and flashy cars as well as settling their debts. As for Mandy Richards, the syndicate leader plans to build a conservatory at the back of her house. Like the Misfits Syndicates, you too can participate in the upcoming US Powerball is up for grabs in this Wednesday’s draw of an overwhelming $293 million jackpot prize. So what are you waiting for? 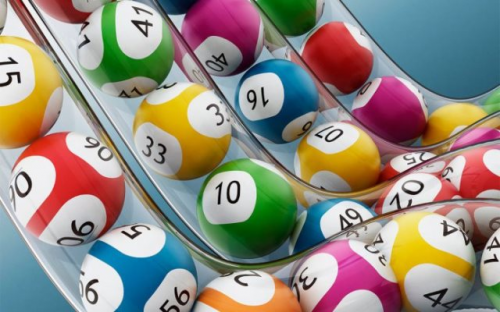 Buy a lottery ticket for your chance to fulfill your dreams and turn your life around.